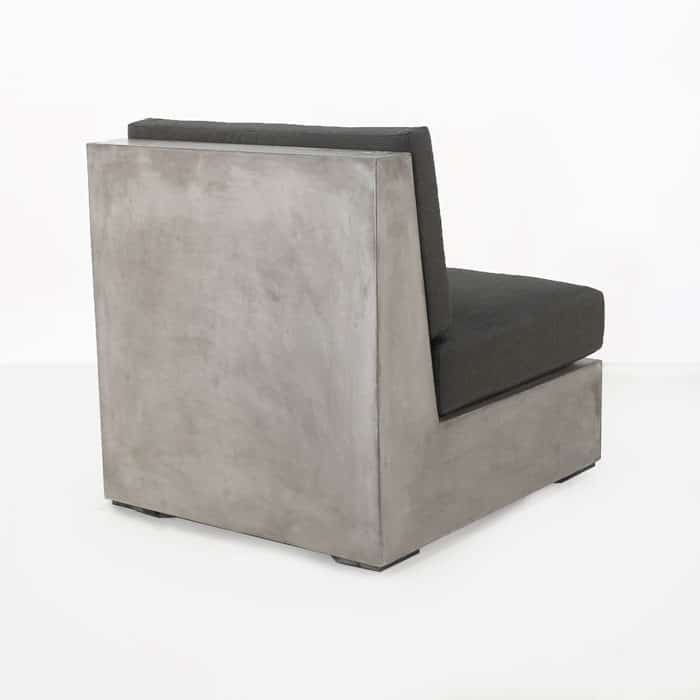 This modern meets zen outdoor concrete chair proves raw concrete can be warm and inviting when molded into the perfect shape. 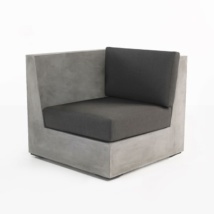 The smooth sleek lines along with the slightly slanted back are seamless. 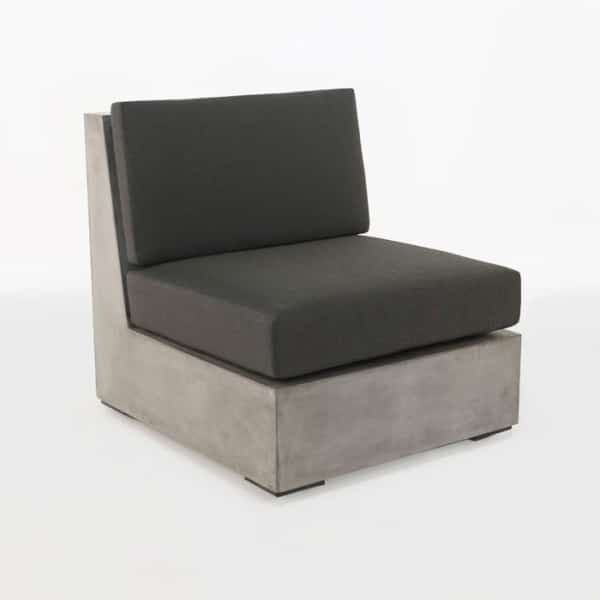 Top that with Sunbrella cushions and you have a stunning outdoor chair on it’s own or pair it with the other Box pieces to create a sectional sofa. 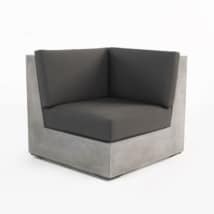 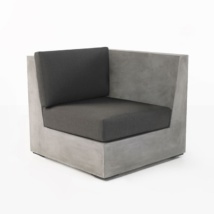 W27.5" x D31.5" x H30.5"
If you are looking to create a dramatic and modern outdoor seating space, the Box concrete collection is your answer. 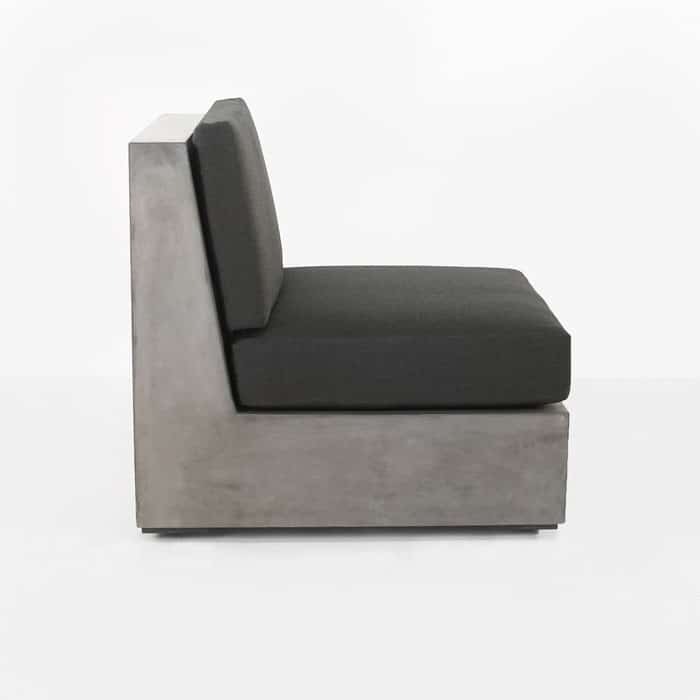 We can help you select the pieces that you need, whether you want a long linear sofa, or an L-shaped sofa. 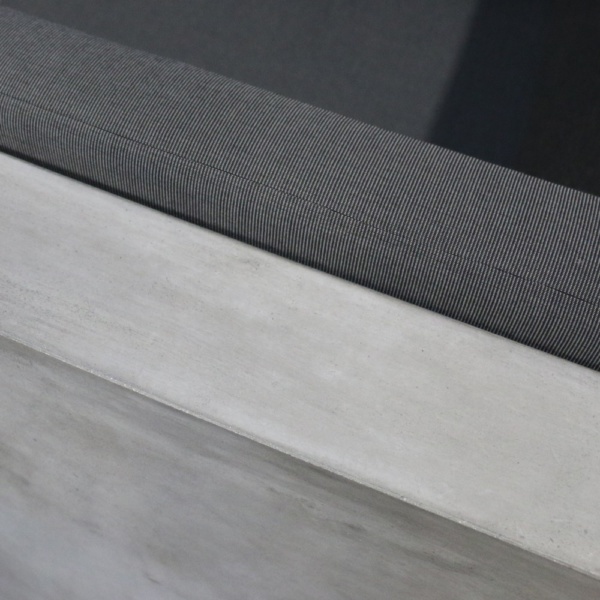 Or you may want to cleverly arranged them to frame your outdoor garden. Call or email us today, we are open 7 days a week and look forward to hearing from you.